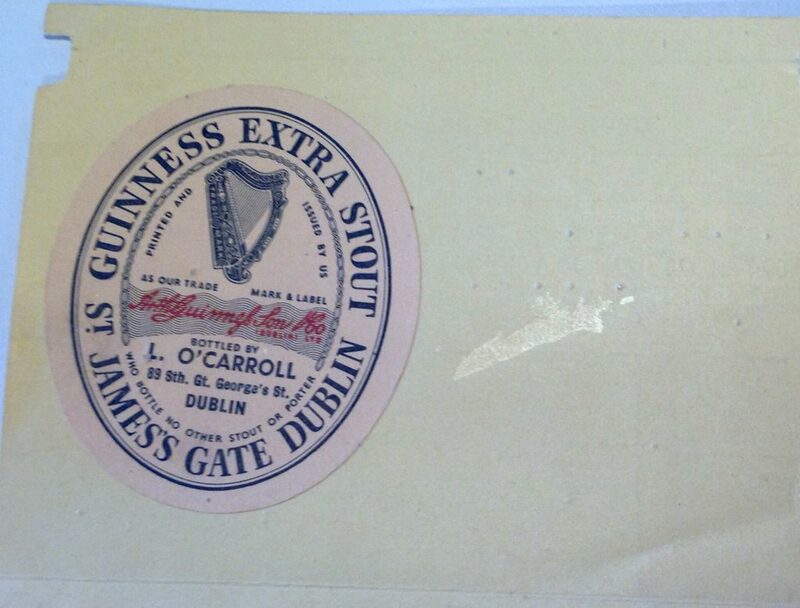 post-title Pubs and Porter #2: 60 year old documents from the Guinness archive. 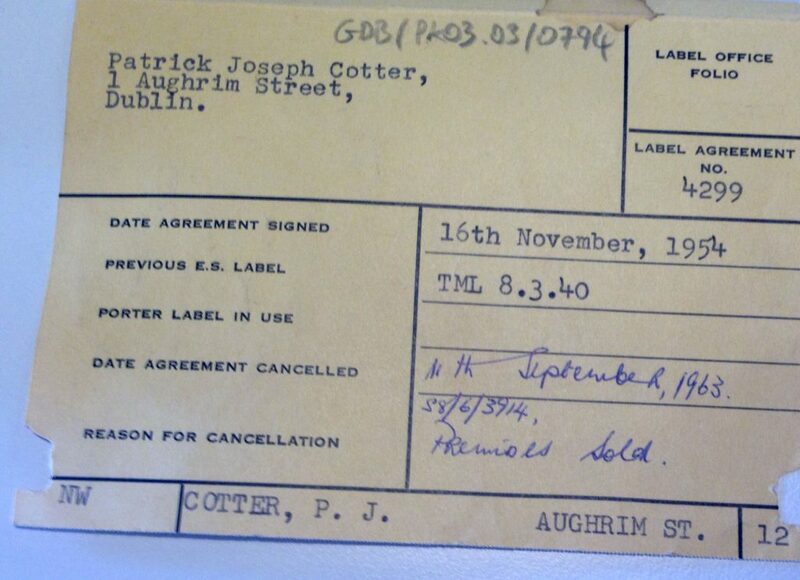 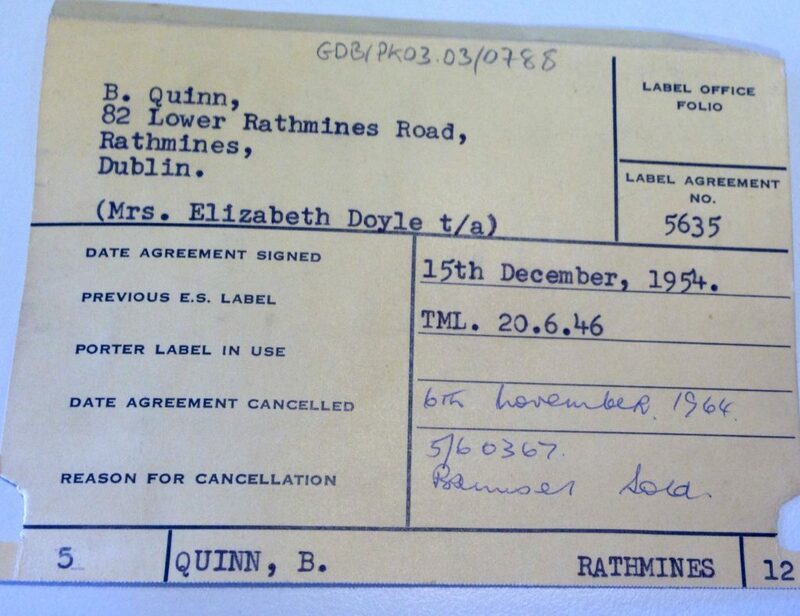 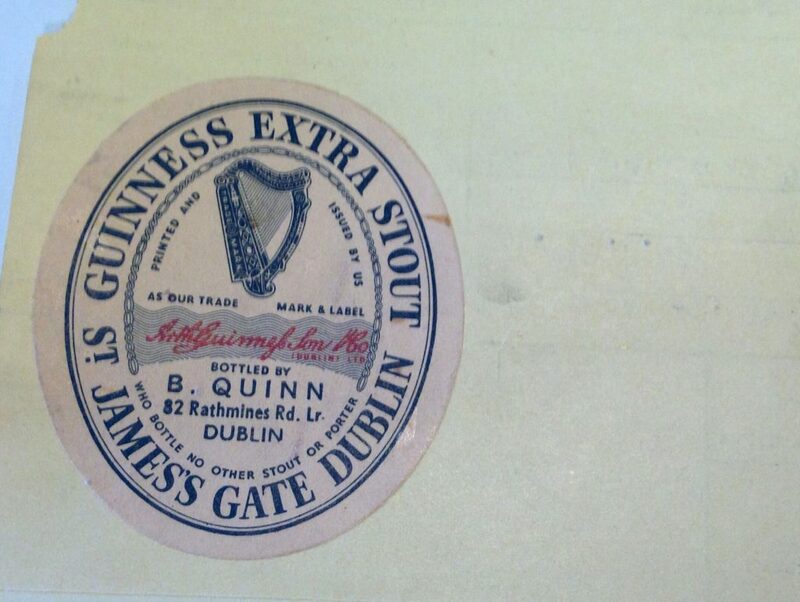 Pubs and Porter #2: 60 year old documents from the Guinness archive. 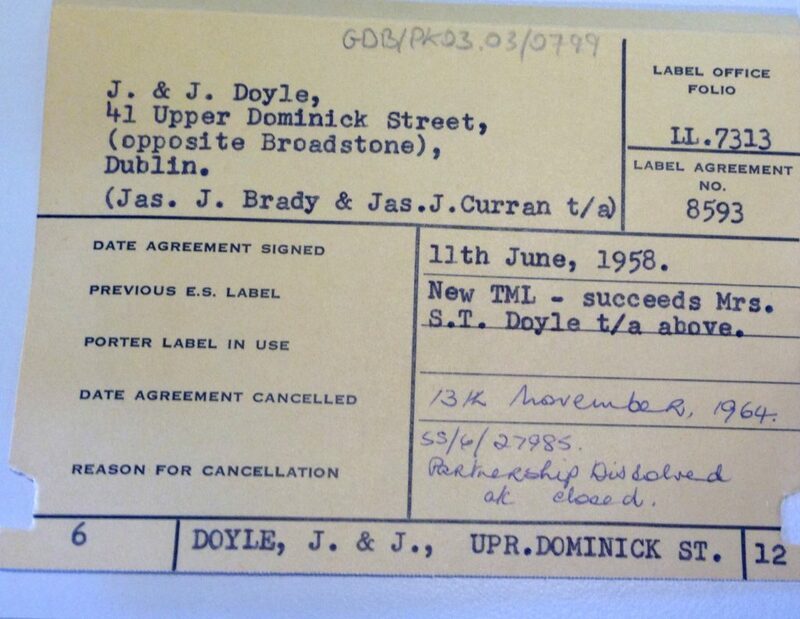 Home / 2017 / Pubs and Porter #2: 60 year old documents from the Guinness archive. 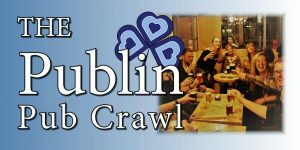 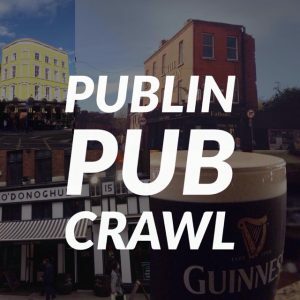 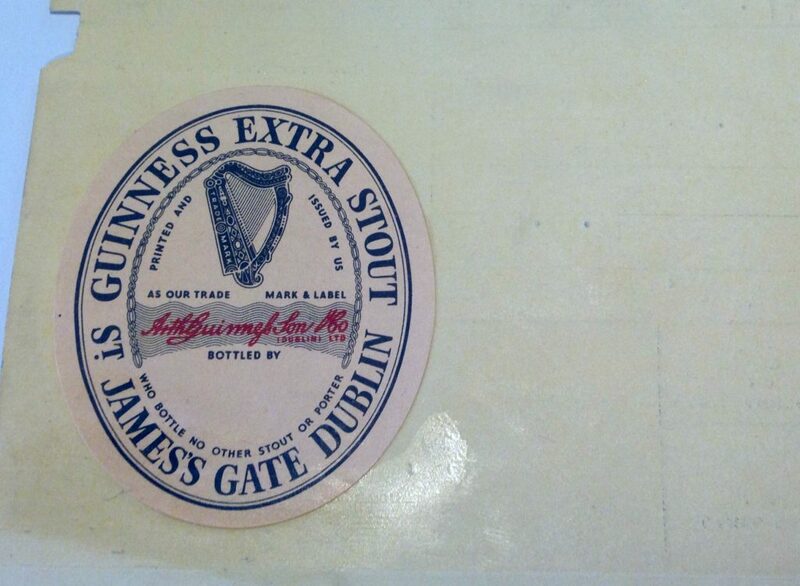 We were recently very kindly invited in to have a look at records relating to Dublin pubs in the Guinness Archive in the Storehouse at James’ Gate. 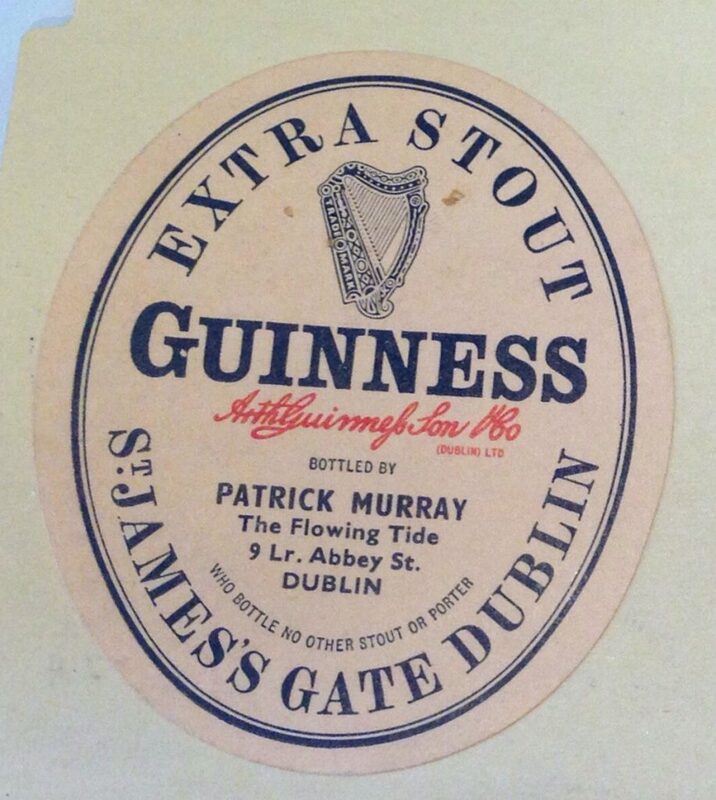 Of particular interest to us were a series of old records dating as far back as 1902 that documented the long standing links between some Dublin pubs and Guinness. 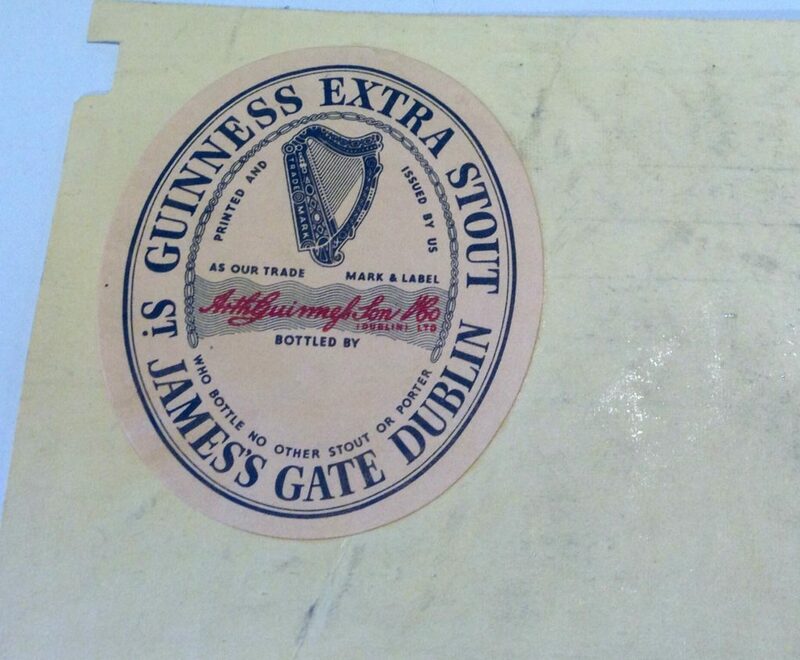 In each of these ledgers were records noting the changes made to Guinness labels for each pub. 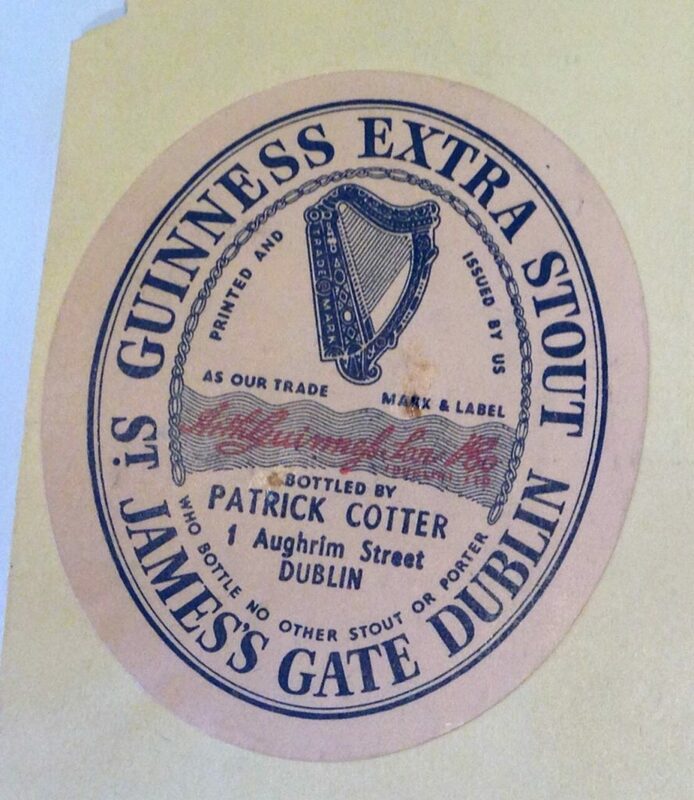 This was during a time when pubs would take care of producing their own custom labels for bottled Guinness. 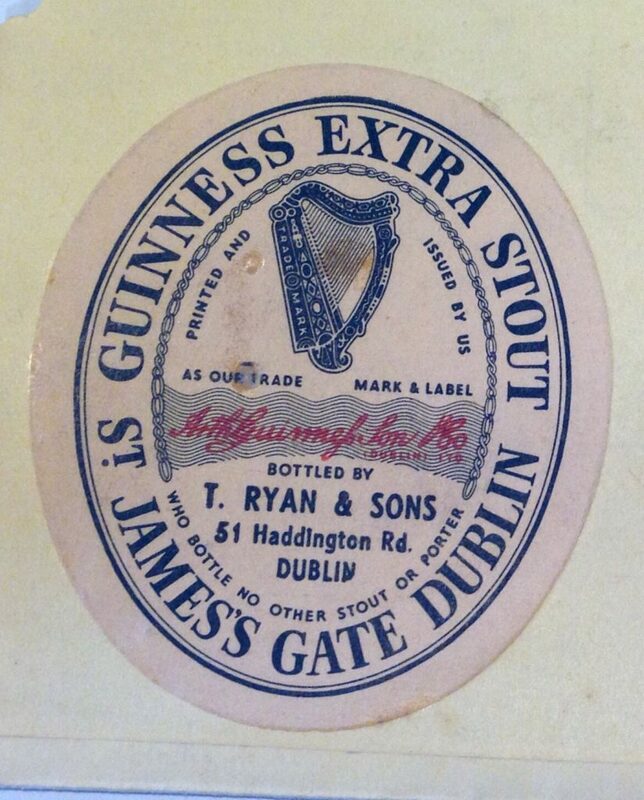 The labels would usually include the Guinness logo and details of the pub, such as it’s name, and the publicans name. 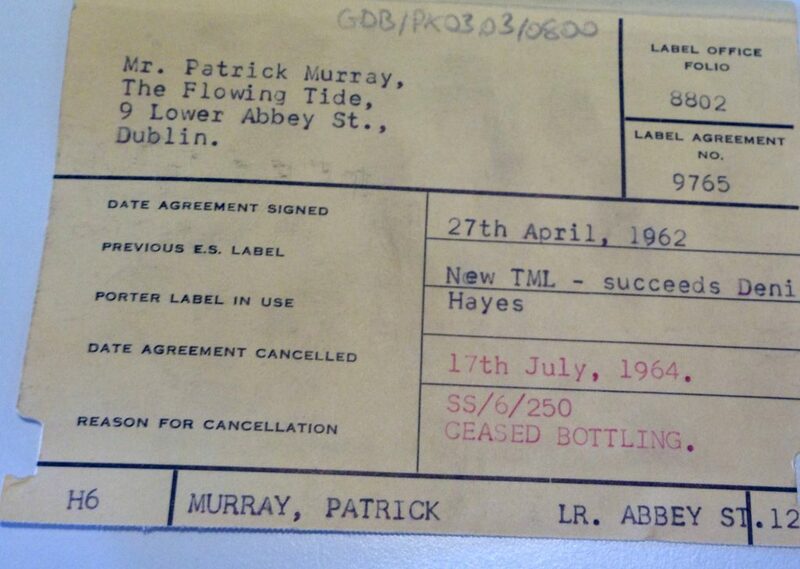 The first book that we’ll be looking at dates from the 1950’s and includes details on the cancellation of old label designs and the creation of new ones. 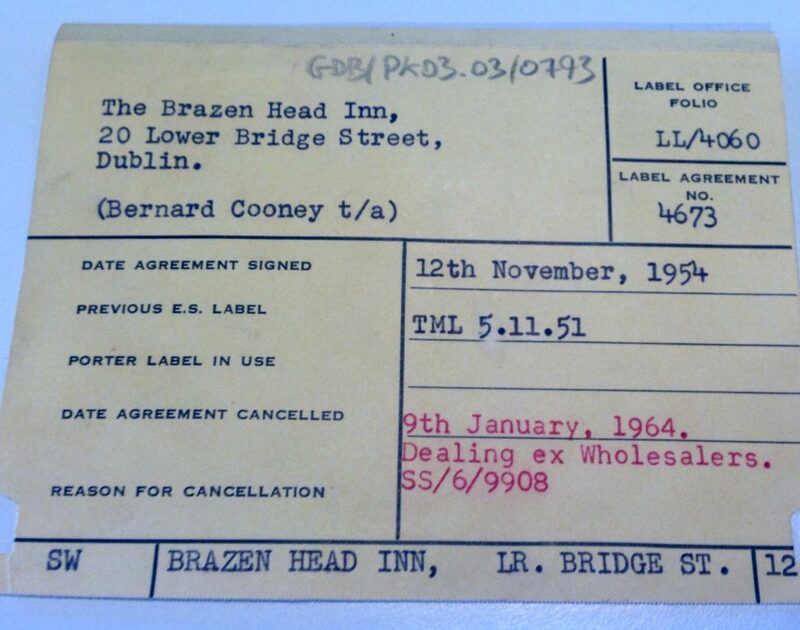 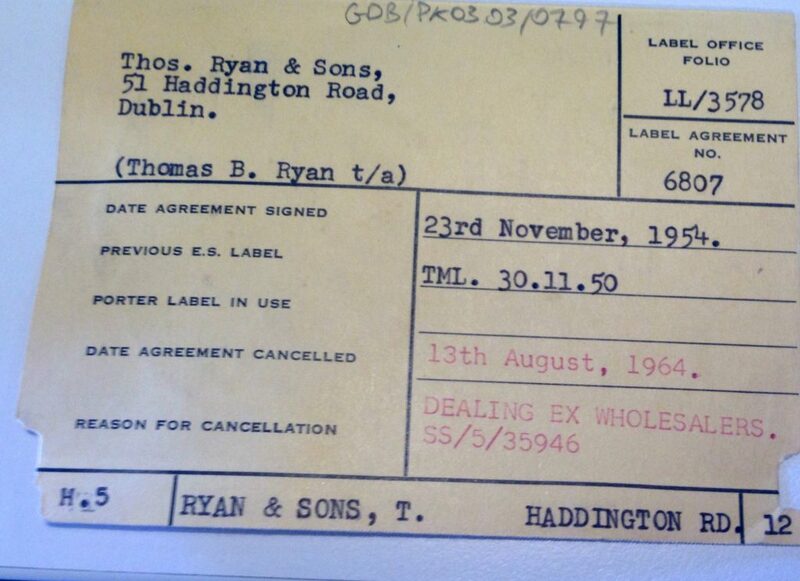 The labels were cancelled when the name of the publican changed, or the pub changed hands. 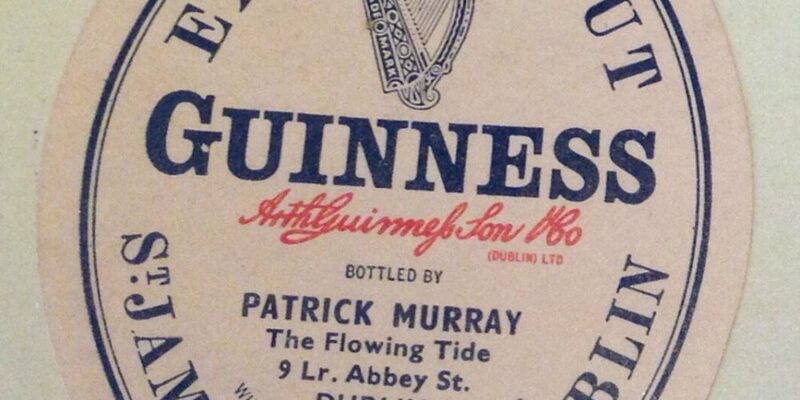 In a lot of cases, the pub was being handed down from one generation to the next, and so, the names on the labels had to be changed. 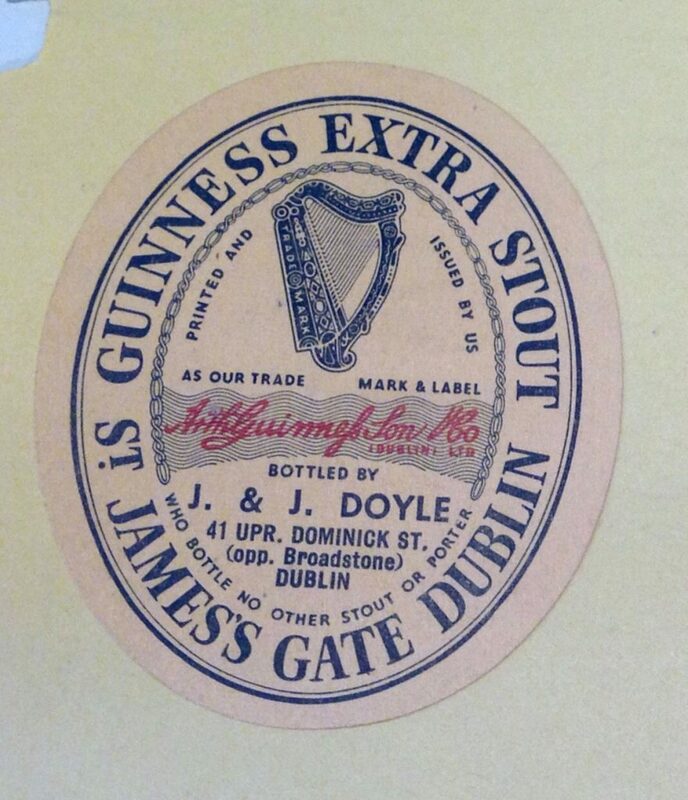 The Licensed Vintners Association are celebrating 200 years in existence this year, and Guinness are celebrating their ongoing relationship with the organisation as well. 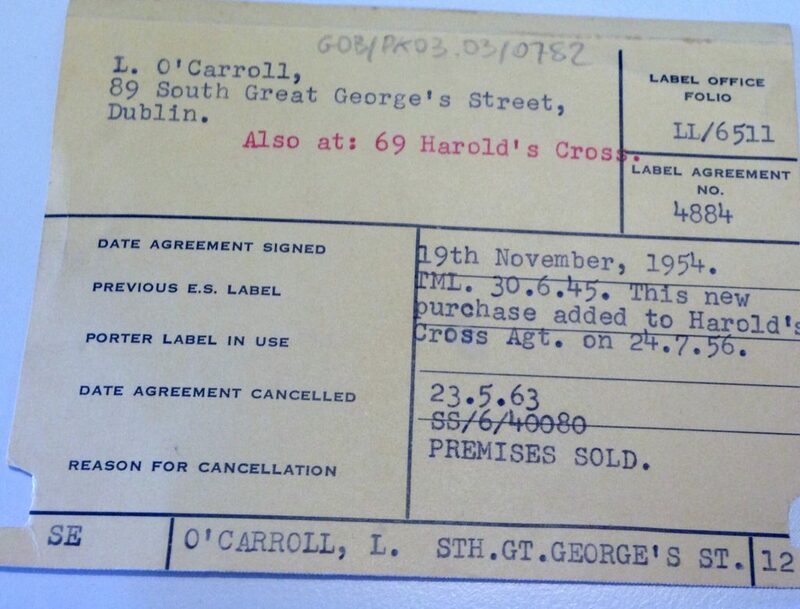 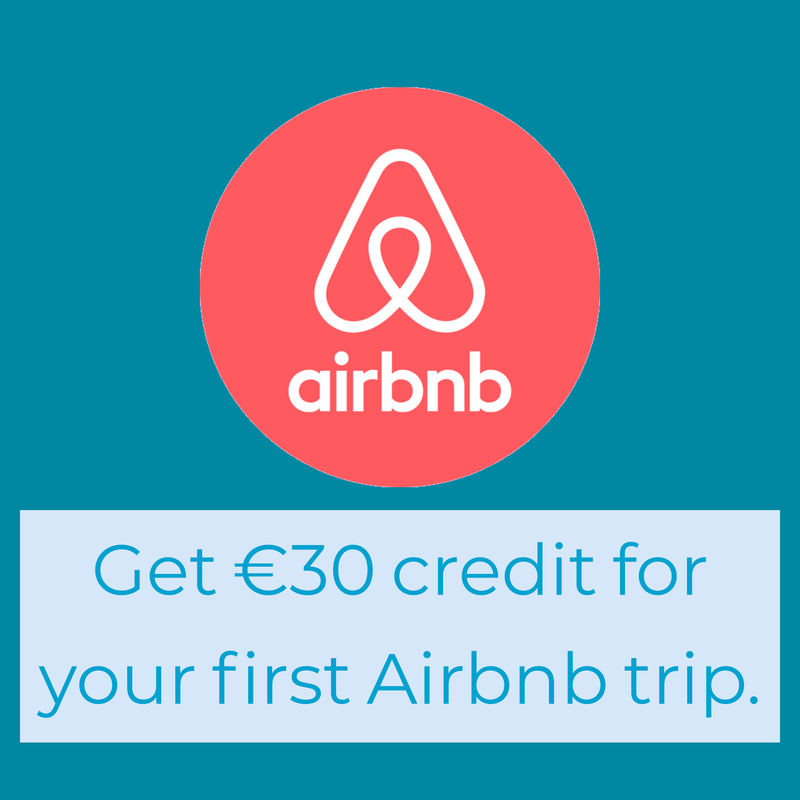 Some of this partnership will be on display in an upcoming exhibition in the Little Museum of Dublin that explores the history of the Dublin pub, starting in June of 2017. 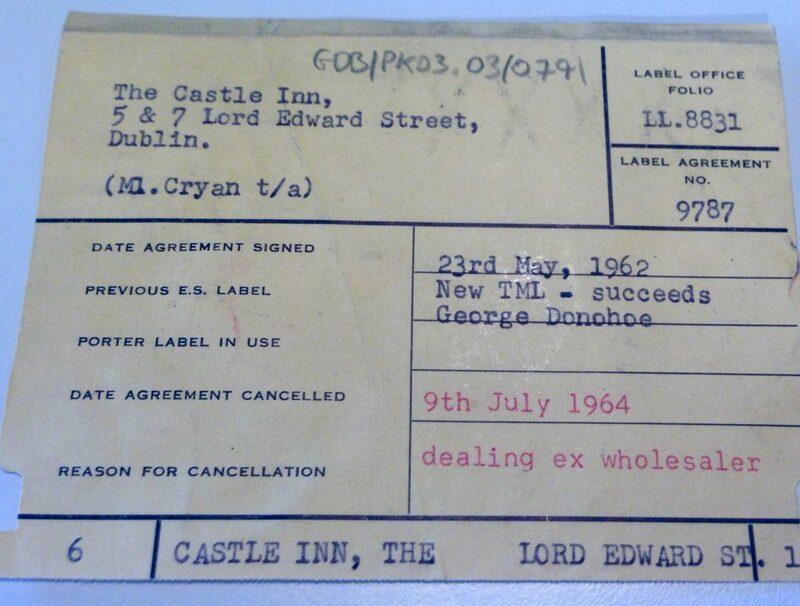 Here below are some records relating to pubs that are still in existence today and are largely operating under the same name.